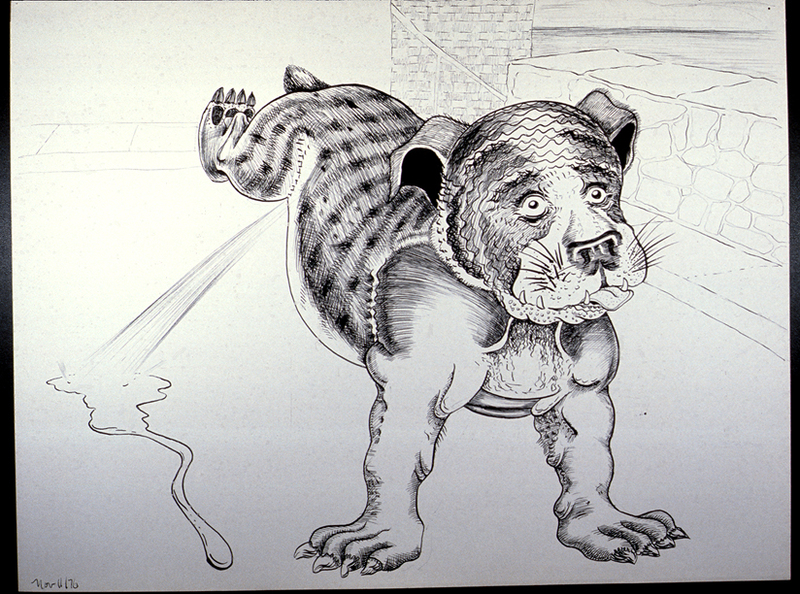 Bull dog 1976 26 x 20″ pen and ink These drawing were made during a long stay in the South of France, working in a stained glass artist’s studio in Beausoleil, a small town that had a communist mayor. Beausoleil, a working class village, is perched above Monaco, providing a stark contrast in population. 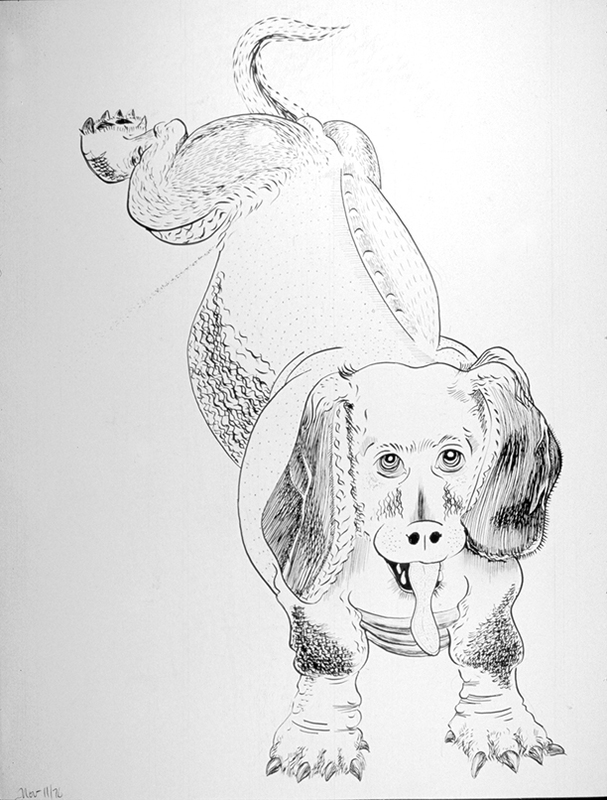 Skinny dog 1976 20 x 26″ pen and ink Dogs roamed freely in France at the time and their feces were rarely picked up.